Fulfillment operations are anything but static. It’s often a challenge for the warehouse to stay up-to-date on shifting trends, technology and competition. While the warehouse must remain agile to meet customer demands around speed and accuracy, it must also be mindful of the changing world around it by mastering our second “A:” adaptability. Adaptability can apply to a wide range of areas within the warehouse. For some larger retailers, it means trying to match eCommerce goliaths like Amazon as they continually roll out innovations. But for small-to mid-size retailers determining what such a disruptive force means for their operations, keeping adaptability front-of-mind – even without seven or eight figure investments in new technology – is still critical. Let’s take a look at how Amazon is forcing retailers to adapt, and how your warehouse can learn from its innovations, if not its investments. Free two-day shipping is perhaps Amazon’s greatest impact on the fulfillment industry. Today’s consumer is trained to expect fast shipping and easier returns. And while most businesses aren’t looking to match Amazon’s operations, there’s much to learn from its methods about how to speed up your operations. With a best-of-breed warehouse management system (WMS), your team gains the data it needs to reorganize stock location, allowing more efficient movement throughout the warehouse. It can also help you understand where product is slowing down, whether it’s during the pick, pack or ship process, and make adjustments to achieve greater efficiency. 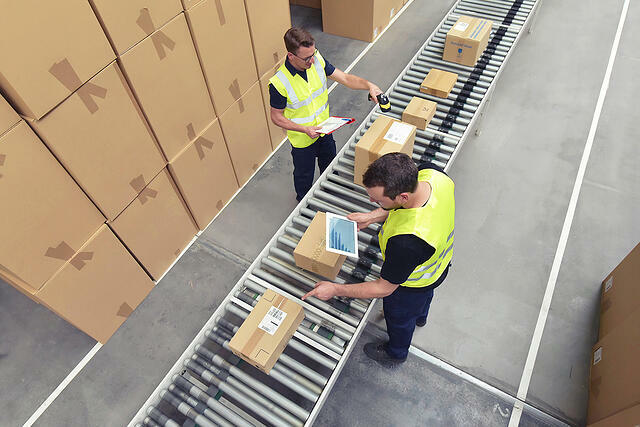 Additionally, a WMS can help you keep track of customer orders and improve accuracy, reducing the amount of product returning to your warehouse. Amazon has also reinforced the concept of non-traditional peak seasons – such as its own Amazon Prime Day in July. Consumers now expect great deals year-round, so if your business wants to capitalize, you’ll need to have a better understanding of buying habits. By adopting technology that gives you deeper visibility into your inventory management, you can ensure you’re ready for the rush and avoid time-consuming stockouts that dampen the customer experience. Amazon has positioned itself as a leader in warehouse tech as well, rolling out goods-to-person systems powered by robotics. It’s one way of adapting to the challenges of a thriving e-commerce offering and moving goods to packers more quickly. But similar to Amazon’s fulfillment offerings, their tech isn’t necessarily the right answer for small- to mid-sized warehouses. Instead, focus on achieving the efficiency that enables this technology, and get your warehouse ahead of the game. The core of a WMS is data: gaining visibility into the numbers underlying your operations, whether that’s during replenishment, picking, shipping or returns. A WMS allows you to make more educated decisions concerning which technologies or solutions are worth investing in to streamline operations. That may be robots, extra warehouse staff, or additional locations. But it’s difficult to adapt without first understanding where your warehouse lags – so make sure to get your data in order before looking to meet today’s trends. And don’t forget – even though Amazon is today’s gold standard for fulfillment, it took years of fine-tuning and innovation before they reached a process that worked for their operations. A best-of-breed WMS will help you reach the necessary level of efficiency quicker – and when you’re ready to scale, it will be ready to meet your new demands. While Amazon maintains its hold as a powerful retail leader, its operations should serve to inspire you, not scare you. By learning from the e-commerce giant’s example, you can adapt your operations with the right trends and technology to become a leader in your own space and keep your operations ahead of the curve.